"Truth shall spring out of the earth; and righteousness shall look down from heaven." 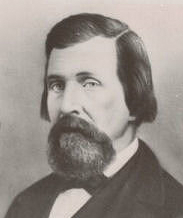 Harrison Burgess was born September 3, 1814, in Putnam, New York. He was the eldest son of William and Violaty Burgess. He was not raised in a religious home, although he said his father did raise them in a "moral and virtuous" environment. Harrison left home at 14. Being the oldest he was put to work early. He had little formal education during his childhood; however he would complete his education during his teenage and adult years. His experience with the gold plates came shortly after his conversion. He was bearing his testimony of the Book of Mormon to a congregation when thoughts of doubt entered his mind. Here is his account of what occurred. "On the third Sabbath in May while speaking to a congregation I declared that I knew the Book of Mormon was true, the work of God. The next day while I was laboring something seemed to whisper to me "Do you know the Book of Mormon is true?" My mind became perplexed and darkened, and I was so tormented in spirit that I left my work and retired into the woods in misery and distress and therein cannot be described. Harrison Burgess received a special witness and consequently served and sacrificed much. Harrison became stalwart in his faith, becoming a special witness of Christ and His restored gospel. To whom much is given much is required. Much was given and required of Elder Harrison and he remained faithful until the end.